Arc’s Center for Future Planning is collaborating with Boston University and Self-Advocates Becoming Empowered (SABE) to work on a project focused on people with IDD who also identify as having a mental health challenge. They are working to gather information from individuals who identify as having a mental health challenge and I/DD so that we can use this information to learn more about areas of need for that population. They are continuing to collect surveys from people with I/DD and a mental health challenge (between the ages of 18-30) as well as FAMILY MEMBERS of those individuals. I’ve attached an updated flyer to reflect the most recent information on the survey and information gathering calls. Click here for details and to participate. According to a study published in the Canadian Journal of Psychiatry, more than a third of adults with IDD receive antipsychotic medication, and more than a quarter of these individuals have no documented psychiatric diagnosis. Click here to read the Medscape article about this study. Training in each of the NADD Clinical Certification competencies is now available on DVD. Click here for details. People with intellectual/developmental disabilities (IDD) are at significantly more risk of Adverse Childhood Experiences (ACEs) and other forms of abuse and neglect than is the general population. This toolkit, by Steven Marcal, Psy.D., and Shawn Trifoso, LMSW, addresses a number of areas designed to support people with IDD who may have experienced trauma. Chapter 1 offers information and a guide for direct support professionals and others, with many exercises designed to enhance wellness and resiliency. 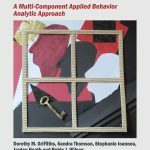 Chapter 3 provides guidance for trauma informed behavioral planning. functional behavioral analysis for people with a trauma history requires special understanding. Chapter 4 is offers direction for thinking about personal and agency solutions for administrators, quality assurance staff, and interested others. Training is free to Service Areas 6 and 7 Community Mental Health Clinicians. Contact Claudia Torres at claudiat@sclarc.org. Autism Speaks has issued a very interesting 35 page report, “Autism and Health: A Special Report By Autism Speaks – Advances in Understanding and Treating the Health Conditions that Frequently Accompany Autism.” The report addresses autism and epilepsy, autism and GI disorders, autism and disrupted sleep, autism and feeding/eating issues, autism and mental health, autism and premature death, and resources on autism and health. To download this report, click here. An article, Collaboration for People with MI/IDD: System Failures and Promising Practices, by Robert J. Fletcher and Kayla Behn has been published in Behavioral Health News. Click here to read this article. A one-day training sponsored by The Behavioral Health Alliance of Rural Pennsylvania and Community Care Behavioral Health Organization will be offered on Friday, May 12. Click here for information and to register. A SAMHSA sponsored webinar developed under contract by the National Association of State Mental Health Program Directors is now available on-line. It is called “The Pivotal Role of Medicaid in Enhancing State Services for Individuals with Intellectual/Development Disorders and Co-Occurring Behavioral Health Disorders: Advancing Collaborations between Medicaid, Mental Health and Developmental Disability Authorities.” NADD Founder and CEO, Rob Fletcher, is moderator. Click here. NADD Press has published a number of interesting books over the past year. Click here to read NADD Bulletin article about recent publications. We are saddened to share news of the untimely passing of Professor Bill Lindsay, on Saturday night, March 25, 2017. Click here. “The field of dual diagnosis has lost a pioneer and champion,” says NADD Founder and CEO Dr. Roberrt Fletcher.” Click here for details. In a letter signed by Founder and CEO Dr. Robert J. Fletcher, NADD has made known its support for the Food and Drug Administration (FDA) proposal to ban electrical stimulation devices used to treat aggressive or self-injurious behavior. Click here to read letter. We are pleased to announce that the NADD Founder/CEO, Dr. Robert J. Fletcher, was the recipient of the first William I. Gardner Leadership Award that was given by the National Center for START Services. Click here for details and to listen to Dr. Fletcher’s acceptance speech. With the January-March 2016 issue of Journal of Mental Health Research in Intellectual Disabilities, we say good bye and thank you to Johannes Rojahn, who has been Editor-in-Chief of JMHRID since its inception in 2007. Under the leadership of Dr. Rojahn, JMHRID has become a trusted and valuable source of important data-driven information. The NADD community wishes to express our sincere “thank you” for his founding tenure as Editor-in-Chief. We want to welcome Dr. Angela Hassiotis as the new Editor-in-Chief of JMHRID. Dr. Hassiotis began in this leadership role effective January 2016. Writing in the final issue of 2015, Dr. Rojahn said, “I am very pleased and appreciative to have such an accomplished scholar and clinician at the helm for the Journal’s next chapter.” Dr. Hassiotis is Professor in Psychiatry of Intellectual Disability at University College London and honorary consultant Psychiatrist at the Camden Learning Disability Service. The author of over 150 publications, she brings a plethora of research and scholarly experience to this new leadership position. We kindly ask you to participate in an online survey on the perception of addiction among individuals with intellectual and developmental disabilities. Participants can enter a drawing to win a book from the NADD bookstore. You can access the questionnaire by following this link to this survey. Filling in the questionnaire will take 10-15 minutes. The NADD, in facilitating this research project, is not responsible for the actions of the researchers, and neither supports nor opposes the findings obtained. The Texas Department of Aging and Disability Services (DADS) is offering a free online course, “Trauma-Informed Care for Individuals with Intellectual or Developmental Disability (IDD).” Click here. An issue brief describing the research goals identified by invited participants charged with addressing health and wellness for people with IDD at the National Goals Conference in Washington, DC on August 6-7, 2015 has been released. Click here to read this issue brief. It is with great sadness that we inform our readers that William I. Gardner, PhD passed away on Saturday, November 29, 2014 following a long illness. Dr. Gardner was a major influential authority in the field of intellectual and developmental disabilities. His contributions to NADD in particular, and to the field in general, were enormous and will have a major impact for years to come. Click here for further details. Peggie Webb, a member of NADD’s Board of Directors and a Program Manager for trhe San Diego Regional Center, was presented with the Richard Thurman Award at the 17th Annual Meeting of the Minds, the behavioral health conference hosted by Mental Health America of San Diego County. The Richard Thurman Award is given in recognition of outstanding contribution to the field of child development, education, and mental health. Click here for announcement. 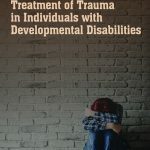 A new free online tool, Trauma Informed Care: Perspectives and Resources, created by JBS International, Inc. and the Georgetown University National Technical Assistance Center for Children’s Mental Health aims to support state and local decision-makers, administrators, providers, parents, and youth and family advocates to become more trauma informed. The tool includes video interviews, issue briefs, key resources and links that will be updated monthly to keep up with new developments in the field. NADD is hosting an important, invitational Public Policy Forum to be held on October 20, 2014 in Bethesda, Maryland. The Forum will focus on the NADD Position Statement on health care reform: “Including Individuals with Intellectual/Developmental Disabilities and Co-Occurring Mental Illness: Challenges that Must Be Addressed in Health Care Reform.” Click here for details. DO YOU HAVE A STORY TO TELL about living with someone with a dual diagnosis (IDD/MI)? The Family Issues Committee is seeking papers for a book to help families and professionals better understand the challenges and ways to conquer them! All lengths will be considered! Confidentiality and anonymity will be respected. Assistance and support are available — just let us know! Click here for details. We a pleased to announce that the Journal of Mental Health Research in Intellectual Disabilities (the official research journal of NADD) has been accepted into the Social Science Citation Index. This means that JMHRID will now be included in the Web of Science and will receive an Impact Factor each year beginning in 2015. In order to advance the NADD Public Policy Statement, we are convening invited stakeholders to a one day Policy Forum to be held on October 20, 2014 at JBS International Office in Bethesda, MD. The stakeholders will include high level representatives from the following organizations: (1) non-profit disability association executives, (2) Center for Medicaid and Medicare Services (CMS), (3) 3rd party insurers and managed care organizations (MCO), (4) NADD Public Policy Committee members, (5) service providers, and (6) other pertinent stakeholders from both the public and private sectors. Click here for details. In a statement issues July 14, 2014, the National Council on Disability (NCD) addresses what it identifies as misperceptions that have been discussed as the U.N. Convention on the Rights of Persons with Disabilities (CRPD) has been considered by the United States Senate, including: concern over loss of sovereignty; concern regarding weakening of our federal system; concern regarding reproductive rights; concern regarding cumbersome or burdensome regulations; and concern regarding the principles of the best interest of the child and homeschooling. Click here to read the NCD statement. In a report published online in Lancet Neurology, Philippe Grandjean, adjunct professor of environmental health at Harvard School of Public Health, and Philip Landrigan, Dean of Global Health the Icahn School of Medicine at Mount Sinai, examine the neurodevelopmental consequences of early exposure to industrial chemicals and/or pesticides. The report follows up on a 2006 review by the authors that identified five industrial chemicals as developmental neurotoxicants (lead, methylmercury, polychlorinated biphenyls, arsenic, and toluene). The current report adds six additional developmental neurotoxicants (manganese, fluoride, chlorpyrifos, dichlorodiphenyltrichloroethane, tetrachloroethylene, and the polybrominated diphenyl ethers). The authors speak of a pandemic of developmental neurotoxicity and propose a global prevention strategy. Click here to read this report. On January 15, the Wall Street Journal featured an article that dramatizes the plight of individuals with intellectual/developmental disability and severe mental illness. Beginning with the California case of a 49 year-old woman, Deborah Clark, who has schizophrenia and an IQ of 63 whose actions, in response to a voice that she heard, resulted in the death of her parents, the article presents a fairly thorough exposition of the difficulties individuals with a dual diagnosis (IDD/MI) face. The article, entitled “Splintered System Often Fails Mentally Ill with Low IQs,” appears on the first page of the Wall Street Journal. Robert Fletcher, Founder and CEO of NADD, together with several members of the NADD Board of Directors, are quoted in the article. “For most of her life, Ms. Clark bounced around a fragmented treatment and support system that left her and family members who tried to help mostly on their own,” notes the article. In a subsequent article, the Wall Street Journal reported that a state court judge had ruled that Ms. Clark is competent to stand trial on arson and murder charges. A review of Psychotherapy for Individuals with Intellectual Disability, edited by Robert J. Fletcher, has appeared in Advances in Mental Health and Intellectual Disabilities. Click here to read this review, which is reprinted with the permission of the Emerald Publishing Company. Robert Fletcher, NADD CEO & Founder, is a co-author of an article, “Towards the Prevention of Behavioural and Psychiatric Disorders in People with Intellectual Disabilities,” published by the Journal of Applied Research in Intellectual Disabilities. The paper promotes a public health prevention model and maps out opportunities for intervention at primary, secondary and tertiary levels. The other co-authors are David Allen, Paul Langthorne, Bruce Tonge, Eric Emerson, Peter McGill, Anton Dosen, and Craig Kennedy. 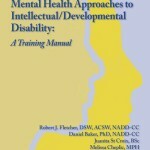 On October 23, the NADD Board of Directors adopted a position paper entitled “Including Individuals with Intellectual/Developmental Disabilities and Co-Occurring Mental Illness: Challenges that Must Be Addressed in Health Care Reform.” Eileen Elias, chairpersons of the NADD U.S. Public Policy Committee, spearheaded production of this position paper. Click here. NADD Board Member Terrence McNelis’s NHS Dual Diagnosis Treatment Team has been named a winner of the Pennsylvania Rehabilitation and Community Providers Association (RCPA) Innovation Award. Click here for information on the winners. Intellectual Disability and Mental Health has also been published in Frontline Initiative. Click here to read the review. Robert J. Fletcher, Founder and CEO of NADD, announces the new Joli Fletcher Tlaka Direct Support Scholarship Fund in memory of his daughter. Click here. NADD President Donna McNellis provided well-received training at Smoky Mountain Center in June. Click here to read what Smoky Mountain says about the training. Do you have an interest in connecting with your colleagues who prescribe psychotropic medications to individuals with Co-occurring Intellectual Disabilities and Mental Health Issues? To be added to the email list, please send your email address/name/organization/occupation in an email to Judie Johnston at jjohnston@thenadd.org. The NADD Psychotherapy Special Interest Group welcomes NADD members to participate in a newly formed web-based discussion group, where they intend to explore subjects related to the study and practice of psychotherapy for individuals with Intellectual Disabilities. To be added to the email list, please send your email address/name/organization/occupation in an email to Bronwyn Robertson, bronwynrobertson.lpc@gmail.com. If you are a family member and are interested in networking and discussing a variety of topics with other family members, the NADD Family Issues Committee may be able to help you learn from others who have been there and done that. Contact Julia Pearce @ runnamokk@hotmail.com to become a part of the Committee.